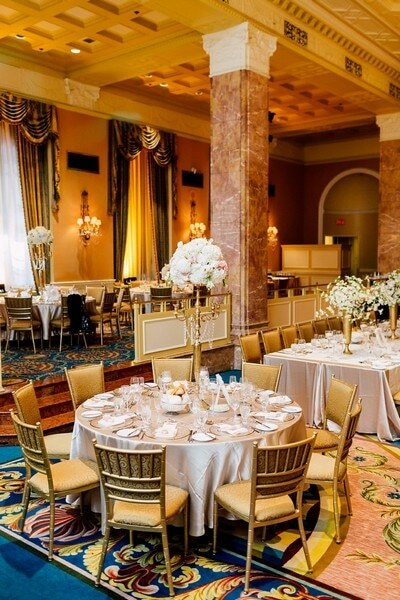 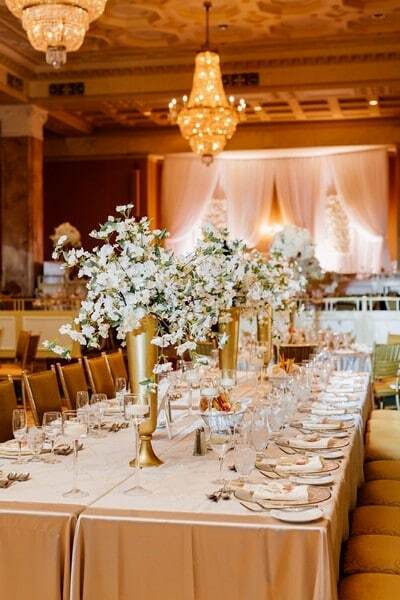 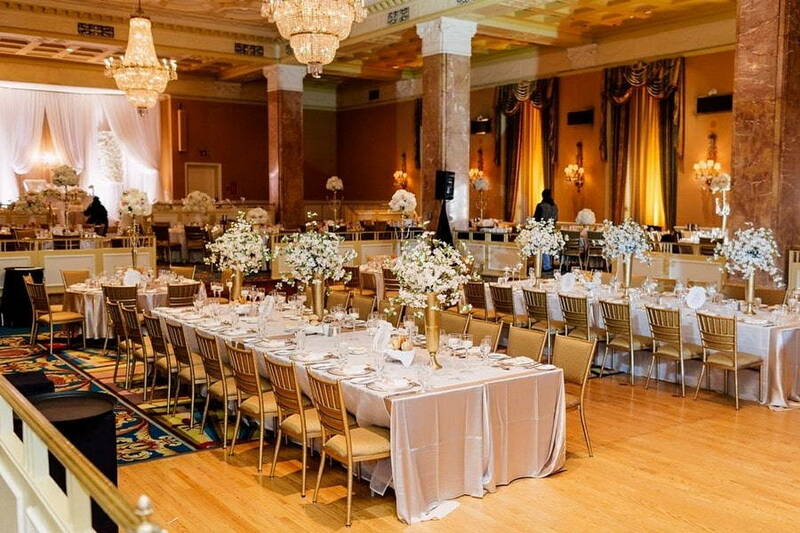 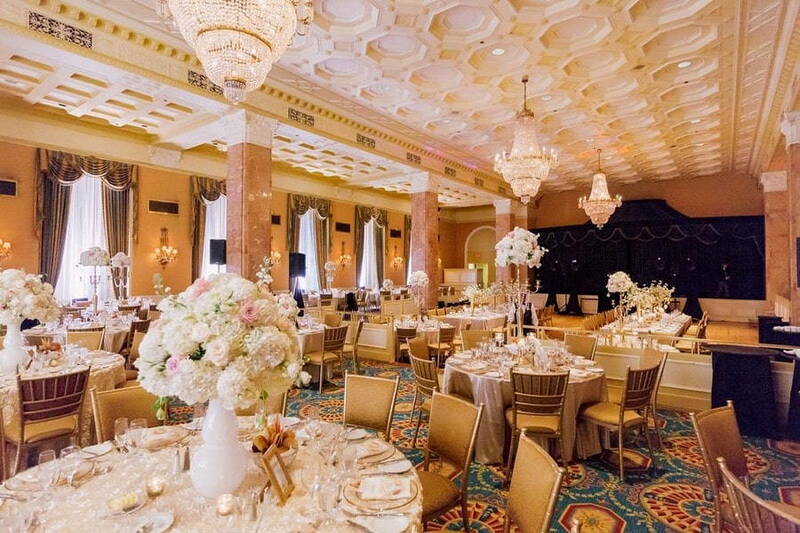 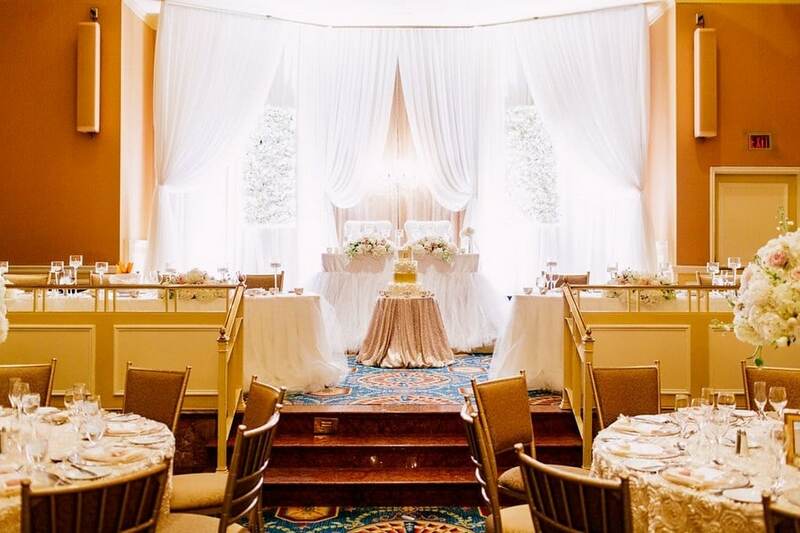 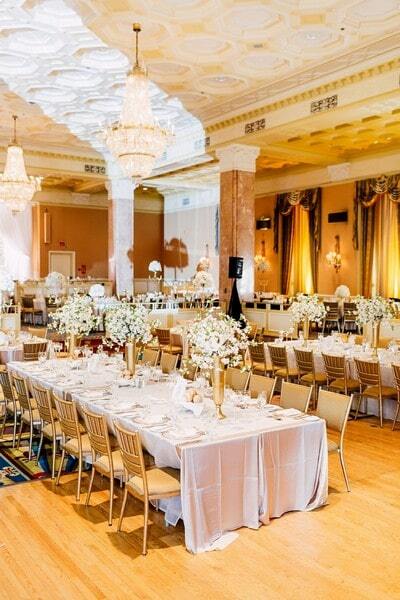 When the ultra luxe The Fairmont Royal York is the venue for a wedding, you know you’re in for a dreamy treat. 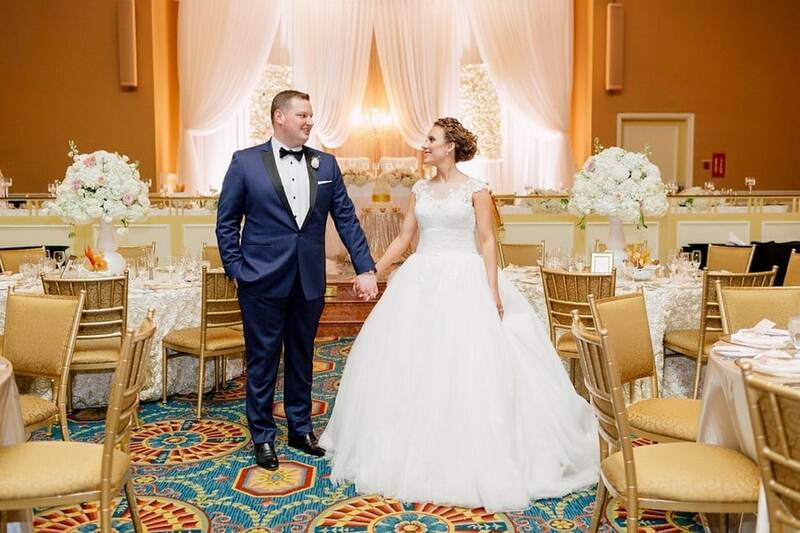 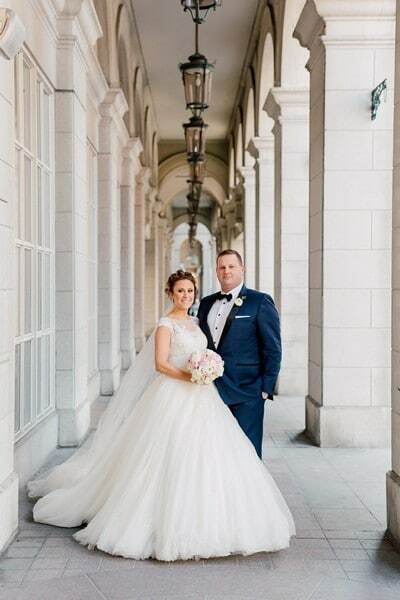 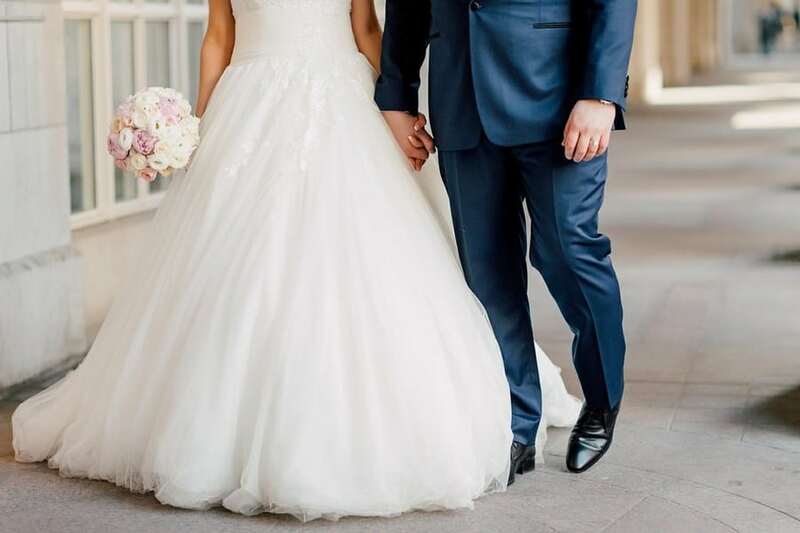 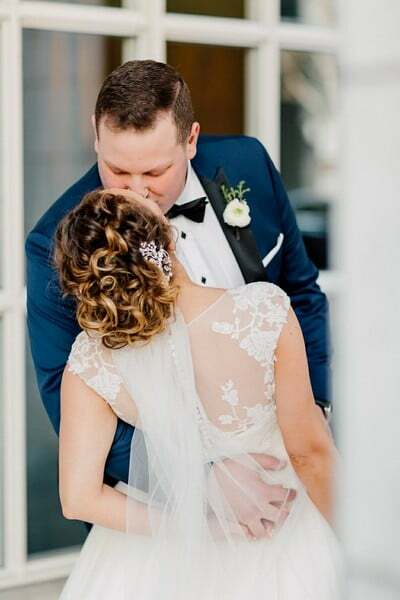 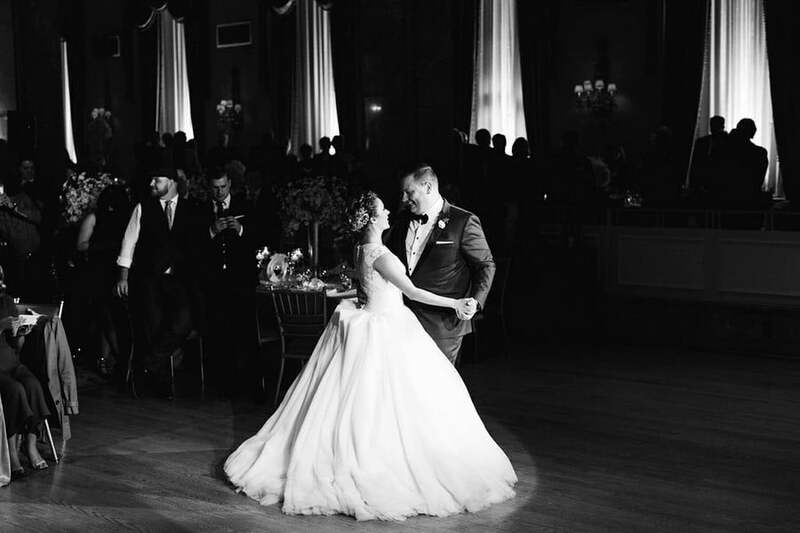 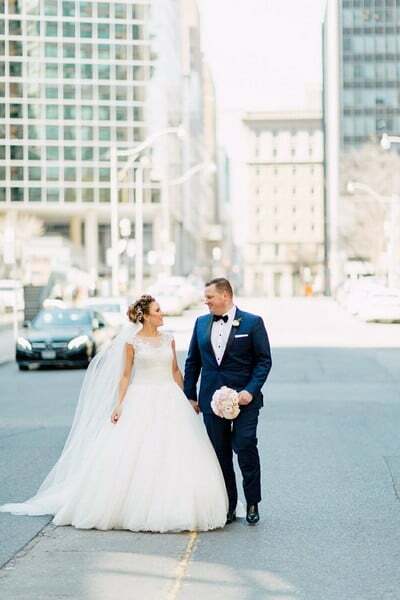 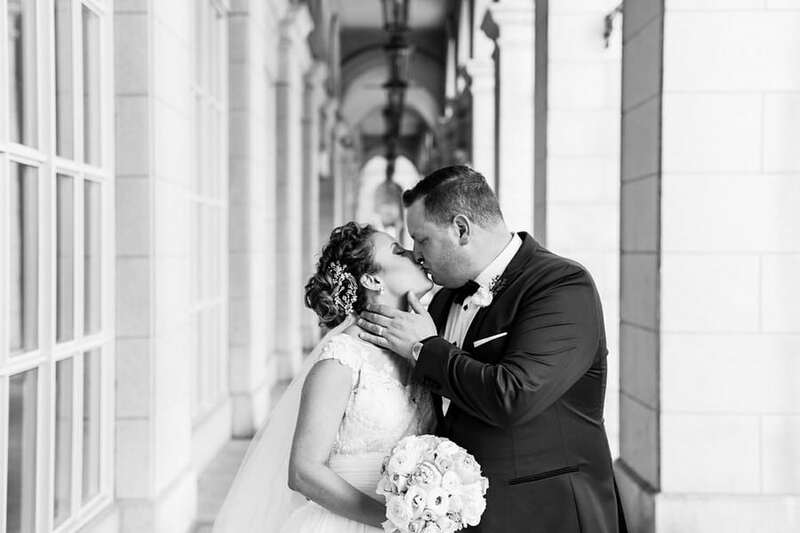 Christina and Daniel’s big day is a stunning celebration complete with a chic cityscape and tons of elegant details. 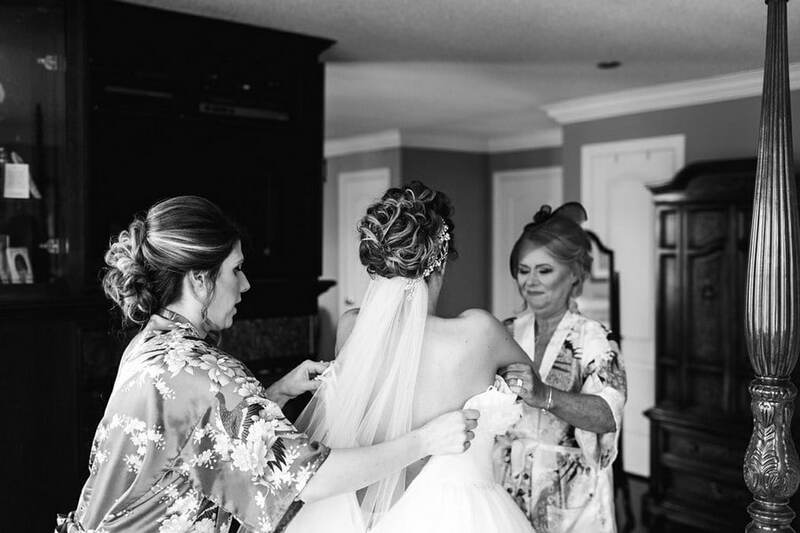 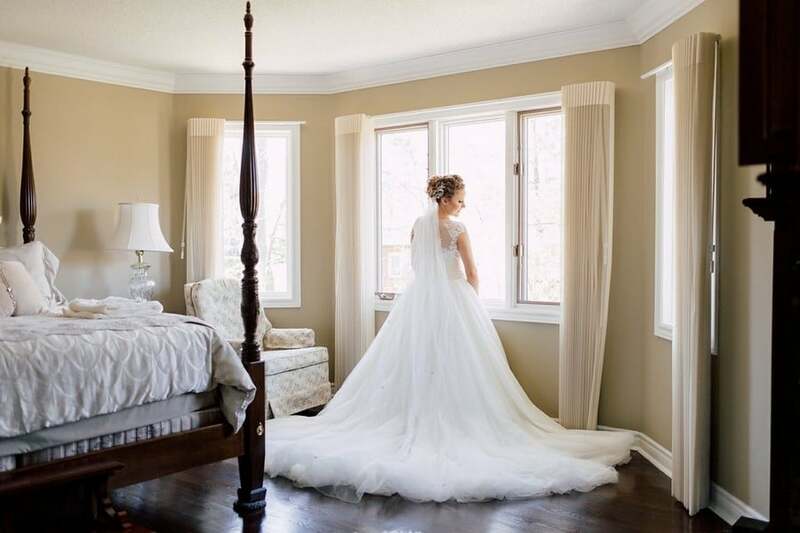 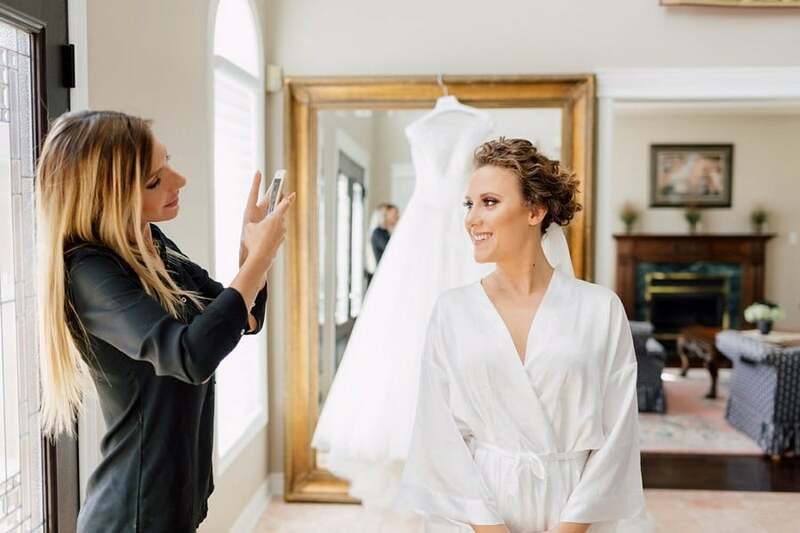 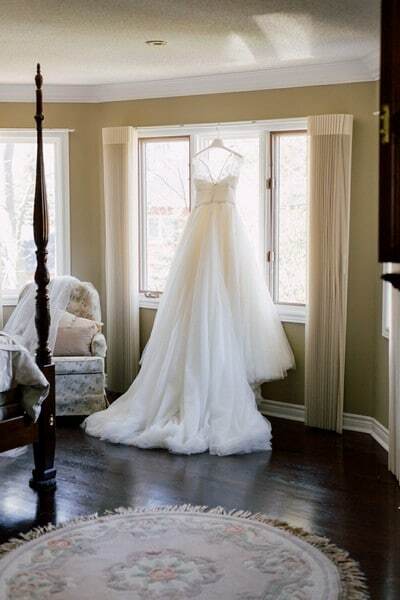 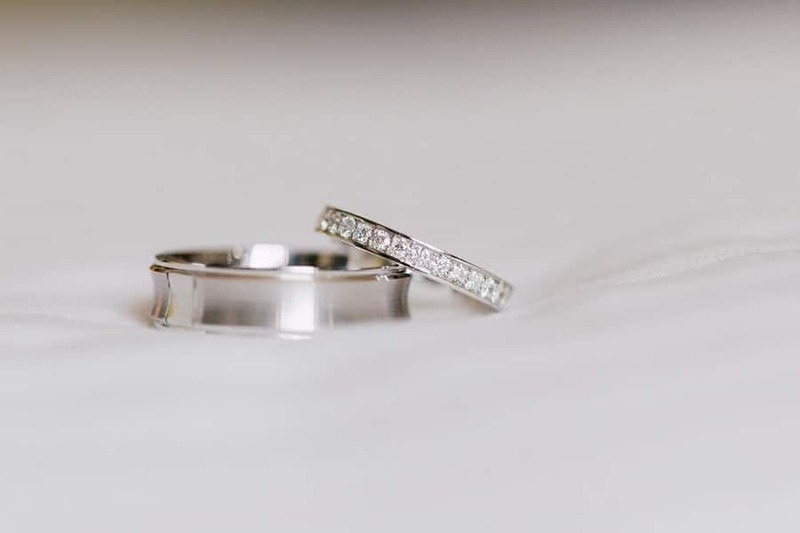 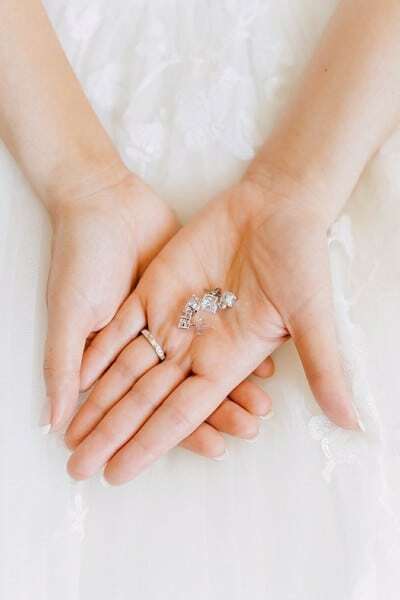 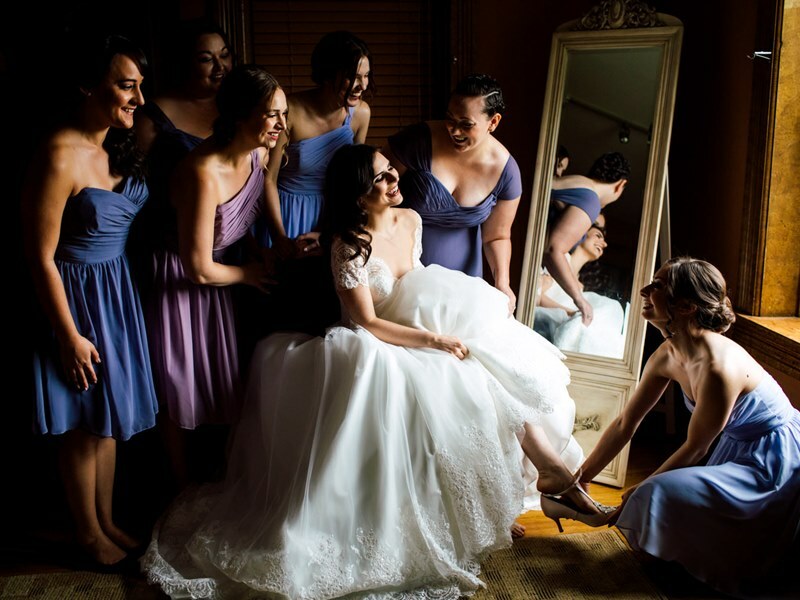 Beautifully captured by Purple Tree Wedding Photography, this one is definitely Pin-worthy. 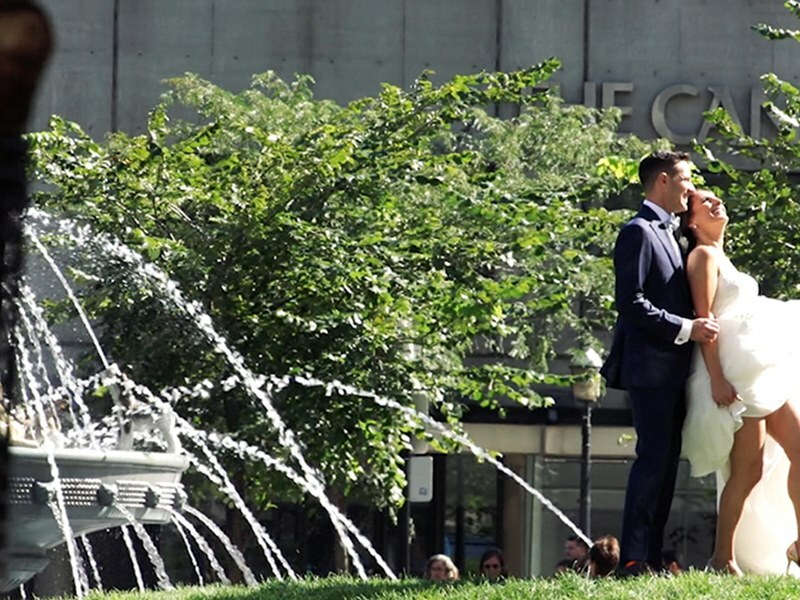 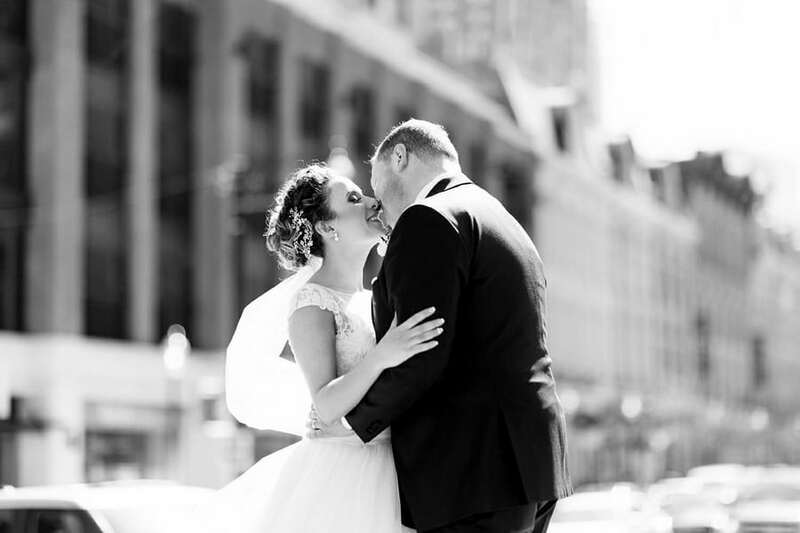 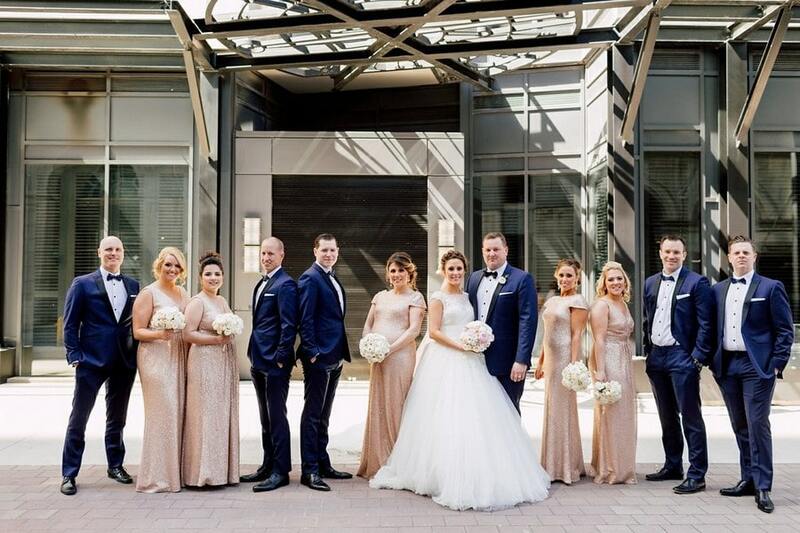 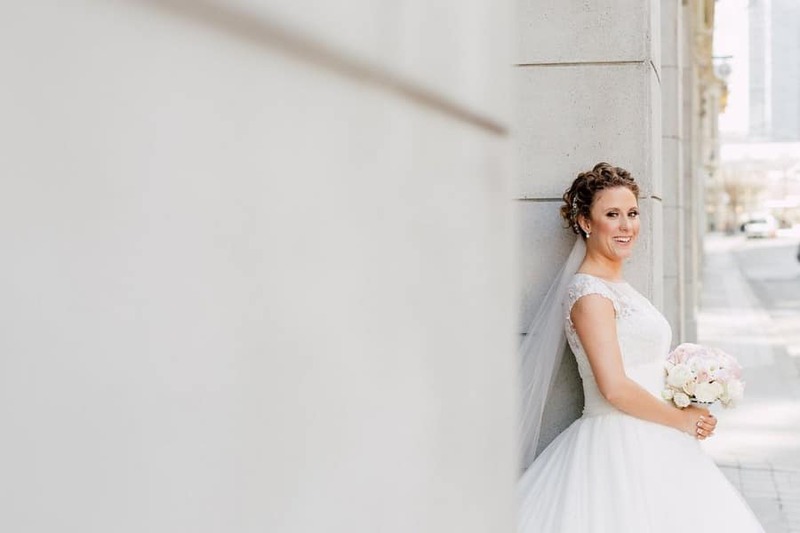 With downtown Toronto serving as the stylish backdrop, the couple indulge in a picture-perfect photo session with their wedding party. 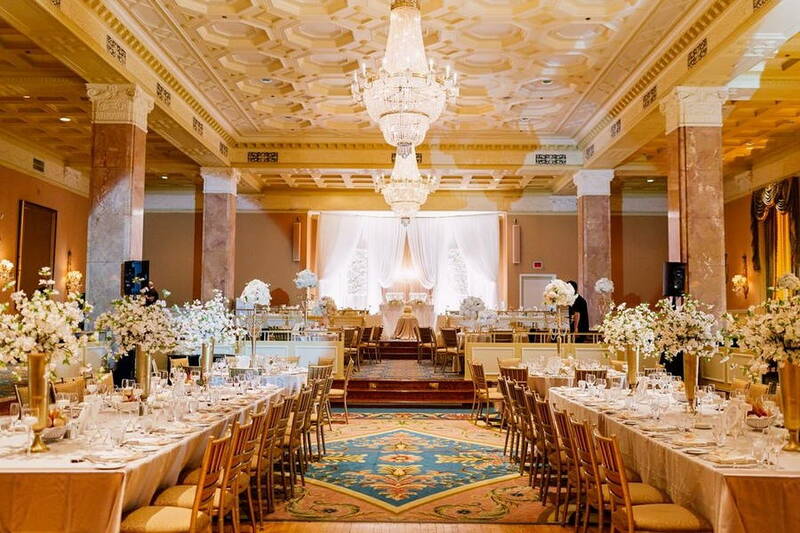 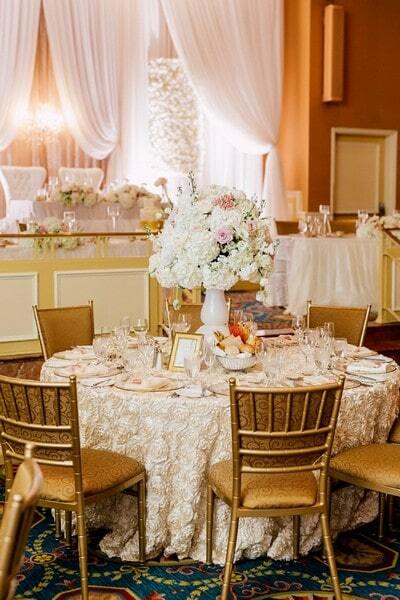 Perfectly crafted by Princess Weddings, the couple’s reception is the epitome of opulence and romance. 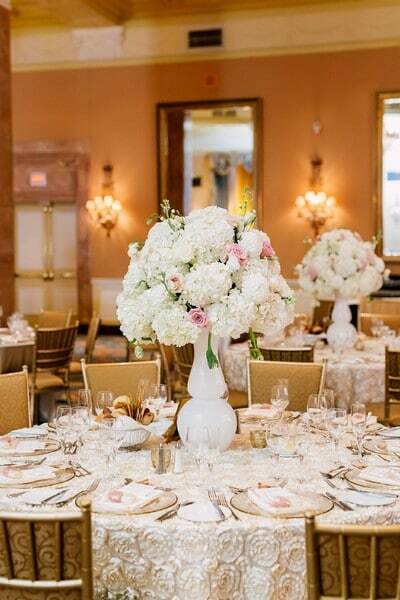 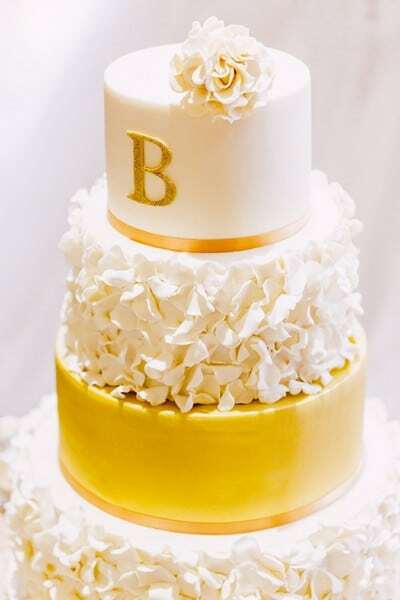 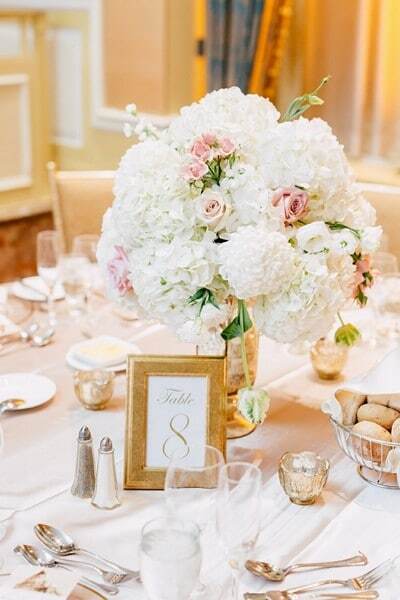 With rich layered textures, gold accents, and gorgeous pastel florals, the celebration was fit for royalty. 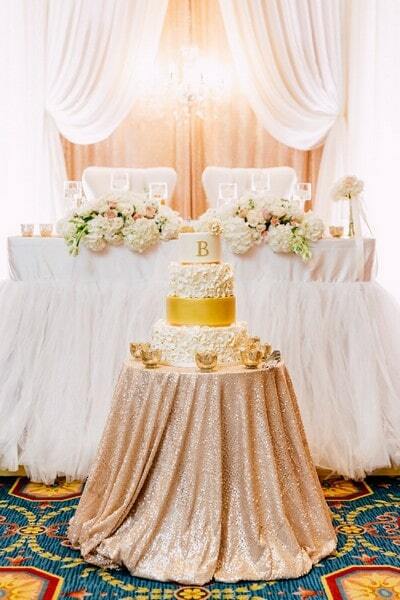 The showstopping four-tiered cake from Simply Frosted was simply heavenly, while dazzling chandeliers hung above the dance floor where guests mingled and boogied into the night.